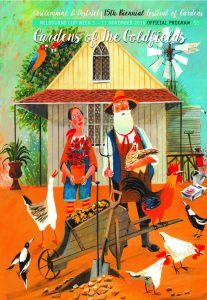 A relaxed country garden on two acres with productive veggie garden, chooks and adventure playground under an old pine plantation. 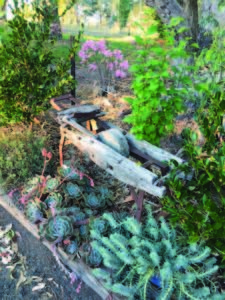 Old farm implements add character and charm. Mixed plantings of natives and perennials and so much more survive the hot summers and cold frosts of winter in heavily mulched, low maintenance, water-wise gardens. This five year old garden has been created with hard work and a sense of humour.